Toronto’s In-Home Tutoring Authority for Over 30 Years. Since 1980, thousands of Toronto & area students have entrusted our certified teachers & qualified tutors to empower them towards academic success. For more than 30 years, local schools have recommended our high-quality tutoring services to busy parents on the go. We would be proud to add you as one of our Success Stories. Knowledgeable Tutors. For All Subjects & Grades. At Explanations Unlimited, we have specialists for all academic subjects, grades, & abilities. Our dedicated, certified teachers & experienced, qualified tutors specialize in the subjects that students need help in the most: Math, Science, French, English, & Special Education. Tutoring support is also available in other subjects & levels, including College, University, & Adult Upgrading. Explanations Unlimited tutors are great at explaining the difficult concepts so that they are meaningful to our students. Memorizing is not enough, when it is understanding that matters. Whether teaching challenging subjects like Calculus, Advanced Functions, Chemistry, & Physics, or helping students excel in their French Immersion & International Baccalaureate (I.B.) programmes, our teachers will empower our students to maximize their academic potential. Not only are our teachers certified, but so are we. Explanations Unlimited has been certified by the Canadian Federal Government as an educational institution for over 20 years. Our tuition fees are Tax-Free & Income-Tax Deductible. Ultimate Convenience: Tutoring in Your Own Home. Explanations Unlimited is there for you, 7 days a week, year-round. We provide real, in-person, private tutoring in the comfort of your own home or workplace, or at another convenient location. We will sit with you & help you achieve your goals. Our reliable & caring instructors are role models & mentors to our clients. Families appreciate the consistency of having the same tutor each week for the duration of a course. Our tutors ensure that students truly understand their subject matter, & then prepare them for upcoming tests & assignments. 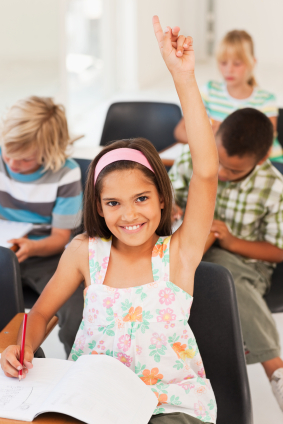 With our comprehensive tutoring services, our clients’ grades, confidence & knowledge improve. Your Tutor Has Been Carefully Selected. We know our tutors. And, we use our unique Individualized Matching Approach to customize the most appropriate instructor & tutoring programme to meet each of our student's needs, goals & abilities. Our rigorous recruitment process ensures that our students receive only highly qualified tutors who also have strong English communication skills. At Explanations Unlimited, we personally meet every instructor & verify their teaching credentials, experience, & academic transcripts before they are invited to join our team. On-Site Business French, English, & E.S.L. Strong communication skills are essential in the Canadian workplace. At Explanations Unlimited, we customize our corporate language training services to meet the needs of busy executives & employees. Whether private classes or small group training is desired, please contact our office directly for personal attention.